Hi. If you are on Twitter or Facebook in my direction you know that Christmas was a huge success. Much like my grandma, Santa was able to look beyond my actions and slightly to the left of my intentions to see that I deserve gifts. Most of them were wonderful. Most of them are also now broken or missing. The good news is that I'm closing in on Santa's exact location as many of my presents had "made in" labels printed directly on them. I can't figure out if China is a district within the North Pole or a section of Santa's Workshop but this lead is hot. Note to Santa: As I let you know earlier, you made one mistake on Christmas morning which I can understand with you being so busy and strung out on millions of cookies. Please pick up this bassinet mini crib. It was under the tree next to my gifts. Normally I would never give back a present intended for someone else, but this one offends me. We don't have nor do we entertain infants so this device is unnecessary and most unwelcome. Frankly, I don't like looking at it. The tag says "Moses Basket" and I don't know anyone who goes by that name but the real baby Moses is probably without a bed (not that I care). Please swing by ASAP as I don't want my friends to get the wrong idea about my home life. If this is some kind of joke know that you have made a powerful enemy. 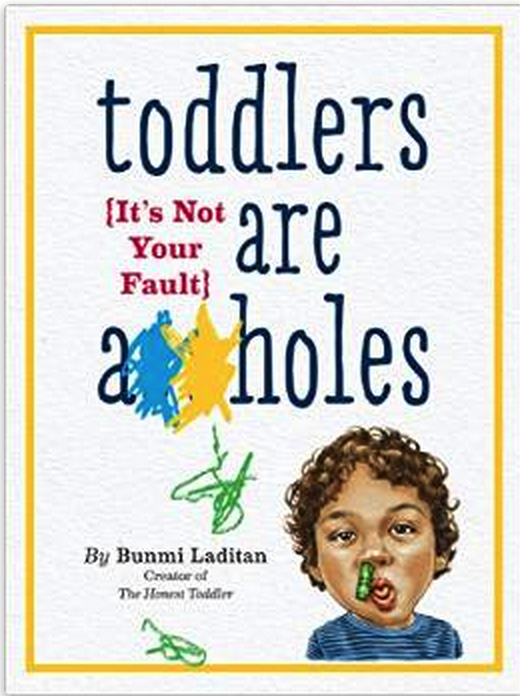 In other news, I'm writing a book (Scribner USA-Simon & Schuster imprint, HarperCollins Canada, and Orion UK); a parenting guide for those of you disappointing your toddlers on a regular basis. You've ever told someone you love to look with their eyes. You think Ferber is a great man. Actually, Dr. Richard Ferber is a recluse who lives in an abandoned barn. He never intended his ramblings to be published. You believe in salad even though all the research points to the contrary. You'd rather watch Game of Thrones and eat Wheat Thins than take your toddler to an indoor play center. The book will come out in May and will be available at all the stores (real and online). It'll cost six or seven quarters, I don't know. If you don't have that much money just rip out the pages that apply to you and and take them to the cash register for prorating. Don't mention my name if you get arrested. Part of being an adult is taking responsibility for your actions. Being a good parent means having a servant's mind and dog's heart. Add a touch of humility and you won't just have the happiest toddler on the block. There are like 12 toddlers on an average block. Happiest out of 12? Is that what you're aiming for? That makes you proud? If being the first out of a dozen equals success in your mind I'm sad. In the spirit of the holidays I'd like to share a recipe with you. It's been in my family for days. 1. Cut your dough into small pieces. 2. Let it sit out overnight. 3. The next day, enjoy them alone or with a Capri Sun. With less than 25 calories per salt nugget you can afford to go wild. *Depending on the humidity in your home, you may need to let them sit for an extra few hours. You can double this recipe for a crowd.